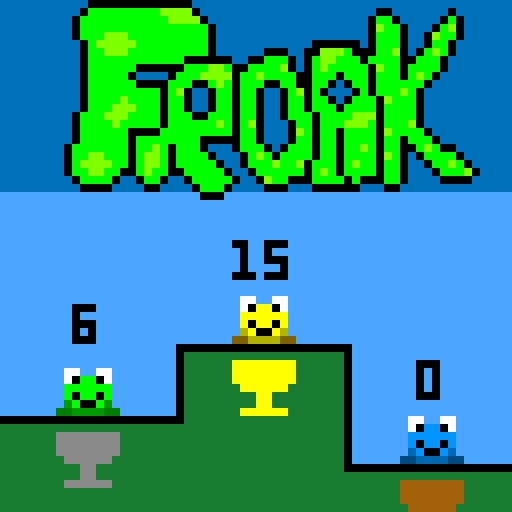 Froak is a multi-player party battler where you must eat more flies than your opponents! 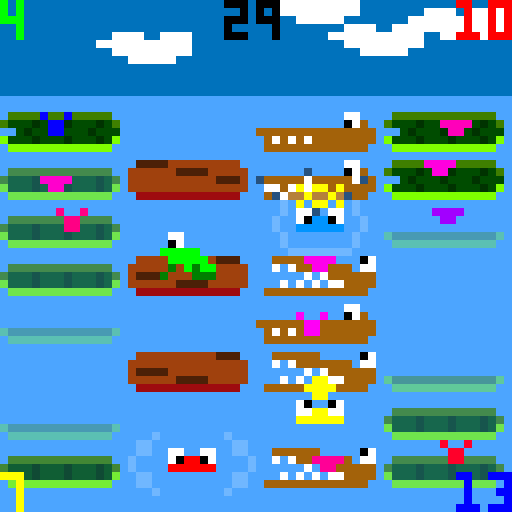 It supports 0 - 4 players, where the AI takes control over the non-player controlled frogs. You can use the keyboard and up to four Xbox 360 controllers. There are five arenas, which are randomly chosen, each with a variety of hazards from drifting logs, sinking lily pads, and snappy crocs! Slow down the other frogs by jumping on their heads when they’ve sank into the water - which’ll daze them for a few precious seconds while you eat more flies! Released 17th August 2017, written using GameMaker Studio 2.